Let the Truck Driver Decide, NOT the Truck Engine! 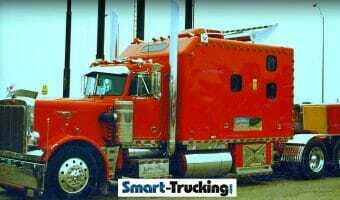 A common question among truckers looking to become owner operators is what truck they should buy. Here’s why Kenworth & Peterbilt are good solid choices for a profitable trucking business. Diesel engine troubleshooting and analysis of common problems with diesel engines. Also our 10 best diesel engine secrets for keeping your big rig truck out of the repair shop and on the road. Will Glider Kits Survive the Storm in the Trucking Industry? 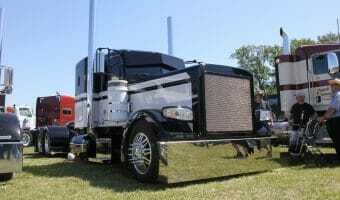 Recent changes to these regulations may open up glider kits as a solution for US drivers but Canadians are still stuck with the “new and improved” trucks. Big truck sleepers photo collection. Older model large cars from as far back as the 1940’s to present day customized condos on wheels. This collection will ‘knock your socks off’. An Australian truck driver talks about the REAL BAD BOY big rig trucks of that run the Outback of Australia. Learn the dangers of a truck driver encounters when driving an Australian road train in the barren Outback and how trucking in Australia is so different from North America. 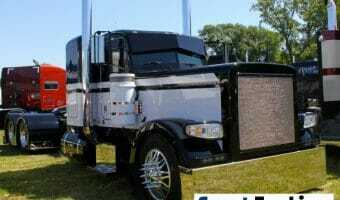 Freightliner fuel efficient truck: Leave it to Freightliner to roll out a 10 MPG rig! The Freightliner Cascadia is a compact, fuel efficient truck, worthy of serious consideration for the owner operator in the market for a new truck.